They say moving house is one of the most stressful occasions in a persons life, but take it from us it doesn’t have to be. Our Moving House Tips will hopefully help you get through it. We help move people everyday of the week, so when it comes to moving house we can tell you the our top moving house tip is ….planning! Find a Moving Company – Obviously we are going to recommend ourselves here, but it is important. A good removals company will be insured (like us) , have all the proper equipment (like we do) and have the experience required to help and advise you on how best you should prepare. Every move is different and everyone has different needs, a good removals company knows this and should be able to talk you through all the steps for your move. Don’t put this step off , we are here to help you through the whole process , so the sooner you talk with us the better. Start the De-Clutter Process – Its natural for us to accumulate a lot of stuff we don’t need. You don’t want this stuff getting in the way on moving day and you certainly don’t want to fill up your new home with all your old junk. Start making piles in each room of all the junk. Collect packing materials – Crates, boxes, newspaper for wrapping, plastic bags etc. Many shops and supermarkets are more than happy to provide you with used cardboard boxes. We also provide some pretty amazing packing crates that are available to rent. Start decreasing your big weekly food shop – This a moving house tip many people forget. Now is the time to start eating all that food in the back of the freezer. When doing your weekly food shop only buy what you know will be consumed that week. Commit to an exact moving date – Fridays can be a good day as it will allow you the whole weekend to get yourself settled in. Lose the Junk – Now is the time to move out all that junk from each room. Your local recycling centre can take almost everything you have. Sort Out Your Wardrobes– Now is the time to sort out all your old cloths, your local charity shop will love the cloths that no longer fit or you just plain don’t want anymore. But they don’t want damaged or dirty cloths, so a bit of discretion is required. Order what you need for your new home now – If you need any new furniture or kitchen equipment in the new house, order it now to be delivered to your new address. Utilities – Let them know you are about to move, remember you’ll need to take final meter readings the morning of your move. Work – Let your boss know your new details, don’t forget to inform the Revenue Commissioners if you are self employed. Social welfare payments – If you are in receipt of any social welfare payments, such as Child Benefit or Jobseeker’s Benefit you will need to contact your local social welfare office to let them know your new address. Electoral Register– You will need to change your details on the Electoral Register. Download the Change of Address Form Here and return it to your local authority. Inform Other organisations – Don’t forget any charities, loyalty cards, subscriptions, gym membership, mail order and internet companies will all need your new details. Keep in Touch with your Removals Company – Make sure everyone is on the same page and knows whats happening when and where. 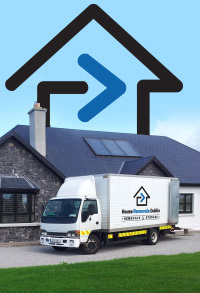 Packing – Of course House Removals Dublin can handle all your packing in a quick, professional manner, but if you prefer to pack yourself, now is the time to start in earnest. Start in the least used room in the house, stack boxes next to walls, but be sure to leave a clear path in and out of the room. So hopefully you have everything packed and ready to go, but here are a few more last minute Moving House Tips. Pack a bag for each member of the family containing their essentials: change of clothes, nightwear, toiletries, and not forgetting bed linen and towels. Pack a box with tea, coffee, milk, mugs, cutlery, and the kettle. The first thing you will want in your new home is a cup of tea, the last thing you will want is to go searching for the kettle. Charge mobile phones, you will probably need to make several calls on the day, so make sure your phone has juice. Defrost the freezer, unplug it and leave all the doors open, place newspaper on the floor and let it drip away. Put valuables and documents in a safe place – Make sure you pack one clearly marked box with granny’s jewelery , passports and any other vital items, keeps this box with you and place it in your new home separate form all the other boxes. 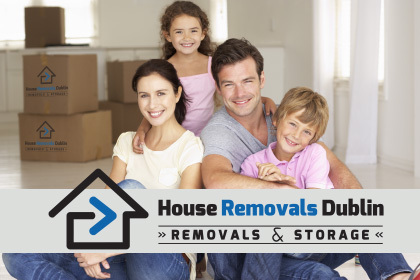 Hopefully these moving house tips have been of some use, so best of luck in your new home and remember House Removals Dublin are always here to help you through the whole process.